Collins, 57, arrived at City of Hope a little over a year ago with a diagnosis of stage 4 metastatic triple-negative breast cancer and a prognosis of about one year to live. She met with oncologist Yuan Yuan, M.D., Ph.D., who took over her care and then designed a clinical trial for women with triple-negative status, one of the most difficult types of breast cancer to treat. After a year of treatment with Yuan’s innovative combination of drugs, Collins has become what City of Hope calls “the first success story” for women with her type of disease. Instead of feeling like she’s at death’s door, she says she feels good. Her cancer is now almost undetectable. In 2011, Collins was diagnosed with an aggressive form of breast cancer and underwent chemotherapy, surgery and radiation. “The chemo was very strong for this type of cancer,” and it was devastating, Collins says. Her hair, eyelashes and nails fell out, she lost 60 pounds and she felt sick much of the time. But the chemo worked. She remained cancer-free for the next five years, after which she had to start with a new oncologist due to a change in her insurance plan. The scan showed she had three masses in her chest, which were then biopsied. “It was breast cancer that had metastasized and spread,” Collins says. Her oncologist set her up with a treatment plan that consisted of the same kind of chemotherapy she’d had before. She was terrified to go through that again, but saw no options. Then her niece, a physician’s assistant, urged her to get a second opinion at City of Hope, where, the niece said, all sorts of new targeted therapies were being tried, some of which might not even require chemotherapy. Once under Yuan’s care at City of Hope, Collins learned that the treatment her prior oncologist had prescribed for her was based on a false assumption: that her metastasized cancer was the same type of cancer she’d originally been treated for, which is called ER positive. If he’d done the needed tests, Collins says, he’d have found that her new cancer was a different type, called triple-negative. It would not have responded at all to the treatment he proposed. But even had he done all the right tests and treatments, he probably still wouldn’t have been able to do much for her. Triple-negative breast cancer is a less common form of the disease, and there’s been little success treating it, says Yuan. “The prognosis is 12 to 18 months,” she notes. Is metastatic breast cancer considered a solid tumor? androgen receptors, which are cells that respond to the male hormone. Collins was enrolled in the trial, along with a number of other women with the same cancer profile, but she was the one with what Yuan calls “the most durable result.” Of 15 patients currently in the trial, there have been four or five “responders,” Yuan says, meaning women who have benefited to some degree from the drugs. Collins’ result has been the longest lasting and is “very positive, but it’s too soon to declare anything,” Yuan says. “We can say she has good cancer control with the current regimen, and she continues treatment.” And bear in mind, Yuan adds, that the regimen Collins is on is appropriate for only 10 percent of triple-negative breast cancer patients — those with androgen receptors. So this trial is for just a small subset of triple-negative cases. For those who’ve wondered why, after all these decades of research, there’s still no cure for cancer, it becomes clear from talking to Yuan that cancer is not just one disease — it’s many different diseases, each of which has different subsets with characteristics that respond to different therapies. Collins says she feels good while taking the medication recipe prescribed by Yuan. Unlike chemotherapy, the drugs have had few side effects, she says. She has a port implanted, and goes to City of Hope every three weeks for an infusion of Keytruda; she also takes six androgen-targeting pills each day at home. For those of us not familiar with medical lingo, we asked Yuan to explain targeted therapy. “There are many drivers that cause the cancer to continue growing. Cancer cells are unique, because they don’t know how to die. Some of the molecules are constantly turned on, or mutated or amplified. They’re constantly active. Targeted therapy is designed specifically to alter those particular cells, whereas chemotherapy is very broad. It kills healthy cells as well as cancer cells. Yuan is married to Kuo-Sheng Ma, Ph.D, a professor of electrical engineering and computer science at Loyola Marymount University. They live in South Pasadena and have two daughters, ages 6 and 9. Does she think that within her lifetime there will be cures for metastatic breast cancers? Or if not cures, then therapies that will allow women to live relatively normal lives while keeping the cancer under control? “Absolutely, I think so. There’s lots of hope. If you look back over the past few years, changes are incremental, but they are happening and there’s been lots of recent progress. It’s now a speeding train, and it will get faster and faster, with more new drugs all the time. Of course, if you have a friend who’s sick now and can’t get helped, it is so sad.” She sees that every day, she says, and that’s what the doctors at City of Hope are trying to change. Pasadena chefs from around the world share their favorite festive recipes and traditions. If you’re wondering what to whip up for your holiday get-together — and whether to cook from scratch or bring in precooked food — think about this: Some of the world’s great chefs, writers, philosophers and gourmets have weighed in over the years on the subject of home cooking. All seem to agree that the home-cooked offering has spirit and soul, an undefinable and mysterious essence that somehow transmits satisfaction to those who gather to eat it. And the very act of cooking is an act of giving, they say. Around the globe, in every culture and corner of the world, cooking is the ritual that causes people to gather, bond and enjoy. It doesn’t really matter whether the food is plain or fancy. So stop pondering and start planning something that will be very simple to prepare but delivers to guests a heartwarming, tasty gift from you — the preparer. Here in Arroyoland we have extraordinary access to foods from around the globe — from the profusion of small ethnic shops selling exotic spices and herbs to huge emporiums that offer gourmet delicacies. And we have an equally diverse and expandng array of dining spots headed by renowned chefs. We spoke to three who hail from different parts of the world to get their take on what holiday entertaining means in their culture, and what they like to serve. Surprisingly, many of them mentioned fish. Renowned American chef Mark Peel is a Pasadena native who has cooked for the one-percenters for much of his life. Starting with Wolfgang Puck’s Spago, he went on to Chez Panisse in Berkeley, then Tour d’Argent and Le Moulin de Mougins in France. Then he cofounded Los Angeles’ La Brea Bakery and the world-class, award-winning restaurant Campanile, where for about 25 years he helped redefine fine dining with an emphasis on farm-to-table fresh food. Peel opened the seafood-centric Prawn Coastal in Pasadena about a year ago. It’s his concept of fine dining with a casual twist and approachable prices, and everything’s available for takeout. “It’s the biggest part of our business,” he says. We caught up with Peel by phone while he was collecting his 9-year-old son from gymnastics class, and he was philosophical about holiday entertaining: “In a funny way, I think holiday parties or party eating is often not so much about food as it is about the company. With great people you could be eating cotton candy and tofu and it doesn’t really matter. In fact, it’s great to serve something very easy to prepare, so the host doesn’t have to spend much time and effort doing it. This is based on a classic French matelote, a fish stew made with river fish (often eel) and red wine. We’ve done it at the restaurant with sturgeon, salmon and trout. Monkfish also works well. I think of the dish as a winter fish stew, with rich, complex flavors. It’s a convenient dish for entertaining because you can have everything prepared ahead of time, then cook the fish in the red wine sauce at the last moment. Instead of the fish stock, you can use half chicken broth and half water. Fish stock is preferable, but you can buy chicken broth at the store. 2. Meanwhile, make a small slit with a paring knife in the ends of the pearl or spring onions. Heat the butter in a wide, lidded skillet over medium heat and add the onions and ½ teaspoon salt. Cook, stirring often, until beginning to color, 3 to 4 minutes, then add the mushrooms. Cover and cook over medium-low heat until tender, about 5 minutes. Stir from time to time and add 1 tablespoon of water if the pan dries out and the vegetables begin to stick. Taste and adjust the salt. When tender, add the strained red wine sauce and simmer 5 minutes. 3. Taste the wine sauce and add salt and pepper as needed. Remove from the heat if not serving right away. Shortly before serving, bring the sauce to a simmer. Season the fish fillets with salt and pepper and add to the sauce. They should be barely covered with the sauce. Cover and cook gently, being careful not to allow the sauce to boil, until cooked through but not falling apart, about 8 to 10 minutes for sturgeon or monkfish, 5 minutes for salmon, 3 minutes for trout fillets. Taste the sauce again and adjust the seasonings. 4. Remove the fish to a warm platter and spoon on some of the sauce with the onions and mushrooms over and around the fish. Sprinkle with parsley, and serve with boiled potatoes or fresh noodles. Note: If serving with noodles (I recommend pappardelle or wide egg noodles), mound the cooked noodles on a large platter. Arrange the fish fillets on top of the noodles and spoon on a generous amount of sauce. Sprinkle with parsley and serve. Reprinted with permission from New Classic Family Dinners by Mark Peel (Wiley; 2009). Asked about his holiday food memories growing up in France and his thoughts on holiday cooking, he said, “Where we’re from, on the Riviera, is different from big cities like Paris or L.A. We come from small coastal villages, so everything has to have fish. There was no special holiday dish I remember growing up. We always ate bouillabaisse, even at the holidays. We grew up with that, we love it and we serve it as much as we can at Entre Nous. Of course it’s not exactly the same as in France because we don’t have the rockfish here that we have there. The fish we serve here depends on the daily catch. Whatever is the most fresh and highest quality at the market that day is what we put in our fish stew. We also had sea bass in France growing up. We serve that over lentils at Entre Nous, along with mussels and all sorts of other great regional dishes that are like those where we’re from. We have amazing escargots on the menu that we import directly from the Burgundy region.” Most popular so far in the restaurant’s short tenure, he says, is ribeye steak with peppercorn sauce and fries. Melt 1 tablespoon butter in a large sauté pan on high heat, then add shallots, white wine and mussels. Cover, and when the mussels start opening, add heavy cream, 2 tablespoons butter, parsley, pepper and a small pinch of sea salt. Cover again. When mussels are all open, remove them to a bowl with a slotted spoon. Reduce the liquid in the pan by one-third, taste for seasoning, pour liquid over mussels and sprinkle generously with more freshly chopped parsley. Enjoy with homemade French fries. Chef Erwin Tjahyadi of Pasadena’s Bone Kettle restaurant was born in Indonesia and made his mark as a chef here by keeping Asian culinary traditions alive. “Being Asian, you’re always interested in assimilating both cultures, and the holidays are a time when it’s fun to do that,” he says. “In America, the traditional holiday dinner might be turkey or a great ham. To add an Asian touch, it’s all about incorporating spices and herbs that are indigenous to Southeast Asian cooking, although you’re using them on food that is not necessarily available in Southeast Asia. We actually don’t have much ham in Indonesia, for example. It’s a luxury item. But if you add sambal, which is Indonesian chili sauce, to turkey or ham, it’s a great way to introduce Southeast Asian flavor and also put a little heat into your dishes. You can also add sambal to batter or curry or sauces and use it with any meal as a condiment. It’s very versatile. “At holiday season we love using yellow turmeric rice as a staple with all our savory meat dishes. It’s bright yellow, has a beautiful aroma and is distinctive in taste. And it’s easy to make at home. You can shape it into a beautiful cone, something like a Christmas tree. We’re lucky there are so many Asian groceries nearby where all these things are available, Tjahyadi notes, making it easy for anyone who loves Asian flavors to try adding them to holiday dishes. 1. Pour the brown sugar onto a plate, and roll each banana slice in it, ensuring that it is coated with enough sugar. Place the coated banana in a spring roll wrapper and add about 6 ounces of jackfruit. Fold and lock the spring roll wrapper, using water to seal the edge. 2. In a pan, heat the oil and add leftover brown sugar. When the brown sugar floats, add wrapped banana and fry until the wrapper turns golden brown and the extra sugar sticks to the wrapper. Dust powdered sugar on the banana and serve with banana pudding (see below) for dipping. Place all ingredients in a bowl, mix together and serve cold in individual bowls. Can giving bring you better health, more joy and a longer life? Pasadena psychologist Annette Ermshar says yes, it can. We all know two kinds of people: those who give and those who don’t. People we’d turn to in times of emotional or financial crisis, and those we’d avoid because they always seem too focused on themselves. Of course, we’d probably never think to categorize our friends and family that way, but mental health professionals have found such classifications to be a rewarding subject of study. Pasadena resident Annette Ermshar is one of those pros. A clinical psychologist with a private practice in San Marino, Ermshar has a Ph.D. in clinical and neuropsychology and a post-doctoral master’s degree in clinical psychopharmacology; she’s also a board-certified diplomate in forensic psychology, which is the intersection of law and mental health. At 45, Ermshar has already seen the best and the worst sides of human nature. She now spends most of her time in private practice with “regular” clients who seek help and healing for challenges that affect their work and personal lives, but she also spent 16 years on staff at San Bernadino’s maximum-security Patton State Hospital, which treats mentally disordered, violent and insane individuals who’ve been remanded there by the courts. She is a mental health assessment expert for both state and federal courts and is on staff at Las Encinas mental health hospital in Pasadena. We talked with Ermshar for this philanthropy issue because she’s also an expert on the subject of giving and its effects on mental and physical health. She has written and delivered talks on the subject, and is quite a giver herself. She says she has volunteered “countless hours” of her time for various nonprofits (the list is too long to print here) and she and her husband of nine years, Dan Monahan, have given financial support to organizations that promote the arts as well as the welfare of adults and children in need. Ermshar is chairman of the board of directors for Adventist Health Glendale Foundation, board vice president for the Pasadena Symphony and Pops, board vice-chair of the Los Angeles Master Chorale and a board member of The Music Center’s Blue Ribbon. She was formerly on the Seaver Board of Visitors of Pepperdine University (where she received her B.A. in 2000) for over a decade. Ermshar grew up in La Caňada Flintridge and earned her Ph.D. from Loma Linda University (which is both of her parents’ alma mater) and her postdoctoral master’s degree in clinical psychopharmacology from Alliant International University. We asked her to talk about what givers get from giving. Many associate the word “philanthropy” with rich people who donate large sums of money, but the word actually comes from the ancient Greek and simply means kindliness, benevolence and a love of humanity. I notice you don’t much use the word philanthropy in your talks but seem to prefer the word generosity, and you always link it to the benefits that accrue to those who give rather than to those who receive. Yes, in my talks, I describe the physical and mental health benefits of generosity. If you look at the subject of giving as a whole, when we give of ourselves — whether it’s our time, our energy or our money — we are certainly benefitting others but we are also receiving a significant benefit to ourselves. There’s a wealth of research that shows that altruism and generosity have immense benefits to the giver. In general, the act of giving promotes mental and physical health, promotes positive brain changes that are associated with happiness, reduces our stress levels and even helps us live longer. There are scientific studies showing all of those things. So generosity and altruism can mean any kind of giving, whether it’s emotional or financial support, or time donated volunteering — anything that is of benefit to others rather than to oneself? You’ve said that spending money on others actually produces a greater level of happiness than spending it on yourself. That’s surprising. Yes, there’s some really great science on that. Let me give you just one example: Researchers reviewed fMRIs [functional magnetic resonance images, which measure and map brain activity] and they found that the same reward system activated in the brain with someone who received money is also activated in the brain of those who give money to others. That means the brain and the body experience positive benefits from choosing altruism over personal or selfish interests. Ultimately the giver experiences greater happiness by giving to others rather than by giving to themselves. You say that giving benefits physical health and reduces stress. Can you explain a bit more? That’s right. Emotions related to altruism help to stabilize the immune system and help to fight against the immune-suppressing effects of stress. On the contrary, shame and selfishness are linked to higher levels of the hormone cortisol, which is the body’s main stress hormone. Acts of altruism also reduce pain by stimulating the brain to release “the happy hormones,” or endorphins, which are natural painkillers. You’ve referred to studies that suggest those who give or volunteer can experience what’s called a “helper’s high” along with other significant benefits. Can you elaborate? Yes, so among retirees, for example, researchers found that those who volunteer score significantly higher in life satisfaction and the will to live, compared to those that did not volunteer. Likewise, researchers reported fewer symptoms of depression, anxiety and somatization [medical symptoms with no discernable cause] among individuals who volunteered. Altruism is often linked to deeper and more positive social integration, distraction from personal problems and distraction from anxiety. Giving has been shown to lend enhanced meaning and purpose in life and a sense of well-being. Do the same health and happiness benefits accrue to those who support only close family members and close friends as opposed to those who support strangers and causes unrelated to them? I think research would show that any time one is giving support to others, benefits accrue to the giver. Research shows that those who give social support to others have greater life expectancy and those others can be family or anyone else. I’ve seen research with the elderly who were taking over the role of parenting because their adult child either worked or had some kind of illness or addiction. This kind of parenting or grandparenting among the elderly resulted in very positive physical and mental health benefits to them. And as far as volunteering outside the family, a UC Berkeley study found that elderly people who volunteer for two or more organizations are 44 percent more likely to live longer than others who do not. So volunteering among the elderly is associated with lower risk of mortality, for sure. There’s also a great Duke University study of individuals with post-coronary artery disease. Those individuals who volunteered after their heart attacks reported reductions in despair and depression, which are two factors linked to increased mortality in this type of patient. Do altruism and generosity depend on empathy? I think they all go hand in hand: Altruism, empathy, generosity, compassion, those all work in harmony, they’re all sort of a similar construct. But you could have empathy and compassion, and that doesn’t necessarily mean you are giving. To be giving requires a step beyond all those traits, where you are actually taking action. But in order to want to give, doesn’t one need to experience empathy and compassion? A university study done recently found that three out of four students showed 50 percent less empathy than 30 years ago, and that the emergence of social media in the early 2000s helped to greatly accelerate that trend. Researchers said that texting instead of talking one-on-one eliminates the emotional connection, and that leads to lack of empathy. I’m wondering if you’ve noticed a drop in volunteerism among younger adults. I’m not sure about the data you’re referring to because what’s very interesting to me is that there are a lot of millennials very interested in larger social causes and social justice, and I think that is a form of giving to others. Maybe not on an individual scale, but on a larger scale. And there’s a new trend of the millennial generation joining boards, with major corporations including 20somethings on their boards of directors. Heretofore this never really existed. For example, the hospital where I’m chairman of the board — we have someone on the board of directors who is in her 20s. This is just so wonderful because she has a great perspective and energy and has a donor demographic that is really important to include for any organization. How did you get so involved with philanthropy and its effects on givers? You seem to have turned it into a kind of second vocation. There are a few reasons. First, I was raised in a family that was very philanthropic and generous with their time and money, so it was a value I received from my parents. Second, because I do a lot of philanthropy, I wanted to better appreciate the effects it has on me. Third, I’m in the business of treating individuals for their mental health, inspiring in them hope and healing. It is really clear to me that generosity and giving is very beneficial to one’s mental health, which is what I’m in the business of doing. I’m constantly encouraging my clients to volunteer and engage in various forms of generosity. When there’s a demonstrable reduction in despair and depression and a greater sense of purpose in life, you know, that’s music to my ears because that’s the whole dedication of my career. “Right now, we are spinning at around 800,000 kilometers per hour around the center of our galaxy, and at around 100,000 kilometers per hour around the sun. And every day we follow our routines and forget how lucky we really are to be living on this unique planet.” That’s astronomer Marja Seidel introducing a short film about one of her recent expeditions to very remote areas of the globe, helping others to understand the uniqueness of our planet, its place in the universe and the need to preserve it. Seidel, 29, has reached thousands of people on five continents with her unusual outreach missions, bringing knowledge of the universe to those who otherwise have no access to such information. A newly minted resident of Pasadena, she was born in Waltrop, Germany, received her bachelor’s degree in physics and earth and space sciences at Jacobs University in Bremen and in October, 2015, received her Ph.D. in astrophysics at Instituto de Astrofísica de Canarias on Spain’s Canary Islands. Earlier this year she finished a two-year postdoctoral fellowship at Carnegie Observatories in Pasadena, where her research focused on the formation of galaxies and the influence of dark matter. Seidel has just signed on as a scientist with Caltech’s IPAC division, which partners with NASA, JPL and the worldwide research community to advance exploration of the universe and provide information-outreach programs for the public. On one recent global expedition, Seidel and an ecologist friend traveled for two months by horseback and paraglider to remote villages in Colombia’s Andes. In their backpacks they carried telescopes, binoculars, inflatable models of the solar system, Play-Doh and other crafts items to help inspire villagers, particularly children, with the joy of discovery. Joy seems to be a key component in her outreach missions, which combine a love of nature and adventure sports with a passion for science. The aim of the Colombia project, titled “Cielo y Tierra (Heaven and Earth),” was not to hold formal classes in astronomy or ecology, she says, but simply to lead entertaining experiments and exchanges that open people’s minds to all the wonders out there for them to discover. Seidel’s own joie de vivre is evidenced in the short film of this odyssey at cieloytierra-project.com, which shows the two women gliding above the clouds, trekking on horses through spectacular terrain and connecting with villagers who may have no access to technology, may never have seen a telescope or binoculars before and have certainly never encountered young women scientists gliding down from the sky to explain our unique planet and its relationship to the heavens. From Seidel’s profile page on a couch-surfing website, we learned that in addition to paragliding and horseback riding, she climbs mountains and volcanos, surfs, hikes, scuba dives, skydives, has a pilot’s license, plays saxophone, has been in several bands, plays “a bit of guitar,” speaks five languages, has lived in five countries and has visited 30, which she lists alphabetically. We first contacted Seidel while she was working with Carnegie Observatory’s telescope in Chile’s Atacama Desert, then talked with her a few days later via Skype when she was visiting Germany. You’ve written that even as a child, you knew you wanted to be an astronomer. Were your parents scientists, or how did that happen at such a young age? My parents weren’t scientists. I think there were many triggers. It happened that at a very young age I experienced some comets, and then some other public observations, and so I started reading about astronomy at around 10 years. I actually started reading A Brief History of Time by Stephen Hawking and I didn’t understand much because I was so young still, but I found it very fascinating. Where I lived in Waltrop is densely populated, so the skies are not very clear, but when we went to more remote places during the holidays I could see the stars. And the light from the stars is basically millions and millions of years old — you are looking into the past of the universe. This was all fascinating, and so I started going to youth astronomy camps at about 15. The first was in Germany, then some international astronomy youth camps in the Czech Republic, Poland and other places. When did you realize that science outreach was necessary, and you wanted to visit remote places to share your knowledge? I have always had a passion to share what I’m doing. In high school and as an undergraduate I already was involved in social outreach activities, reaching out to communities with very low resources. This kind of led me to know that there is a need, that there are many people in this world who do not have the same starting position and a lot of things need to be done [to assist them]. I think education is a key to making society evolve, and astronomy is a very powerful visual tool to get people interested in science. You have a telescope and just let people observe, and then ask questions. Not that they, in the end, have to study astronomy, but just to get them curious about science and know there is so much out there to discover. So going to remote areas was a decision made after doing some research on where NGOs [nongovernmental organizations] are going. I found there is a huge difference between urban and rural areas. There are not many organizations that go to remote and rural areas of developing countries. And in those areas, so many children still drop out of primary school because they are not encouraged to get an education. They’re told the only things they can do is to work in the fields or, in the worst case, go into drug trafficking. So that was something we wanted to address. you’ve referred readers to Carl Sagan’s 1994 Pale Blue Dot book in some of your writing and talks. He says that astronomy is a humbling and character-building DIscipline that reminds us we are just this tiny planet spinning in one small galaxy among trillions of galaxies in a vast cosmos, and yet we’re the only place known so far to harbor life. Photographed from space, earth has no borders, no nationalities. We humans are all one species, and we have to take care of each other and of our planet or all hope is lost. You feel that’s relevant for today? Yes, this is definitely my philosophy, and something that motivates me. I actually learned about Sagan’s Pale Blue Dot rather late, when I was already over 20, and I realized I had written down very similar thoughts. Astonomy offers a very different perspective on life here on earth. What we often do as an inquiry activity is build a solar system to scale…and we see how little the solar system is in our galaxy and how little our galaxy is compared to all the billions and billions of galaxies in the universe. This really gives a sense of scale and perspective and can lead to this feeling of global citizenship where you feel part of one humanity, which is on this little space ship called Earth. I definitely am convinced that if we do not start thinking that everyone on Earth is just one humanity, if we do not stop thinking about the differences between us, but about how similar we all actually are…and that from space, the earth is seen really without any physical borders…if we do not start thinking in that direction, then I don’t see that there’s a future for humanity. Do you see much hope? If we do start thinking that way, then yes. I think this is a very [assertive] step we must take as humans, to start thinking of us as one humanity. When I talk to businesspeople, I sometimes ask them: If you have a company and everyone works against each other in all the departments, does the company run well? No. So the departments all have to work together as one company. Well, the earth is like one company. We have to work together instead of against each other. You visit these children in remote places, where they have so little formal education. I know you bring crafts and telescopes, but is it really possible to enlighten them about such complicated things as the solar system and our place in the universe? It’s possible anywhere. Imagination is never limited just because your resources are limited. Everyone, even in the most remote areas, has a lot of imagination and dreams. I think when you learn about something like astronomy, you think, wow, this has changed me. Just because of this one experience, this one little match being lit, my life has changed. They can see there are lots of other opportunities and things to think about in life. Maybe different types of jobs they never imagined before. These people always have very interesting questions, and we are staying in touch with some of them and trying to train local collaborators where possible to continue the work. If you had one thing to say to nonscientists, who rarely think about all this, what would it be? Never stop being curious and surprised at what the universe might give you. And really start appreciating our planet’s place in the universe and how very special our planet is. Keep thinking about that! Pea milk? Algae oil? Consider stocking your pantry with some of these brand-new foods that are good for you. Think about it: Our food components haven’t really changed since Eve allegedly first bit into the apple. We’re all still living off the land, consuming products derived from plants and animals. Of course there are tremendous advances in what we consume and how we prepare it, many leading to better health and longevity. And trendy “new” items now seem to appear on an almost daily basis, making food as fad-driven as fashion. Consider the endless iterations of exotic spices, grains and fruits that purportedly offer us essential nutrients. Now that we’ve all learned that quinoa is pronounced KEEN-wah, for example, the culinary cognoscenti have come up with even more obscure ancient grains they say are just as good or even better: farro, spelt, teff, fonio and kamut (a.k.a. Khorasan wheat), to name just a few coming to local markets. And there’s a slew of new tools with which to prepare it all: slow and fast cookers, masticating juicers, air fryers, outdoor and indoor steam convection ovens. Foodies who recently spent a bundle building massive masonry pizza ovens as focal points for their outdoor kitchens are now presented with the newer trend toward lightweight, unimposing stainless-steel models. The Uuni 3 wood-fired oven claims to reach 932° in just 10 minutes and “can cook an authentic wood-fired pizza in an incredible 60 seconds.” Better yet, it’s portable; you can tote it to your boat and your beach house! Some of these new items will make it onto the list of enduring kitchen classics. Others will fade as fast as the micro-mini. Here’s a sampling of new food trends that may or may not hit the big-time — along with one truly significant game-changer that’s at the top of our list. Neither fad nor trend, this is a revolution. Also known as “in vitro meat” or “cultured meat,” it’s meat and poultry grown in a lab from stem cells extracted from live animals, and it could start appearing on high-end restaurant menus by 2020. So-called “clean meat” is not fake or simulated meat, like the soy protein or veggie-based products in stores now. It’s the real deal, produced using technology from the medical field, and those who’ve tried samples say it tastes real because it is real. The only difference is that no animals are killed in the process. Bill Gates and Richard Branson are reportedly heavy investors in some of the startup companies now working to make the world change from live to lab-produced steaks, chops, chickens, duck and other animal products. There are tech and regulatory issues to surmount, but industry experts predict that affordable clean meat will be in supermarkets by 2023. According to cleanmeat.org, the lab-grown product is “100 percent real meat, but without the antibiotics, E. coli, salmonella or waste contamination that comes with conventional meat production.” And, according to United Nations scientists, this new method of meat production would eliminate the huge environmental hazards and extensive depletion of natural resources that come with raising animals for food. Anxiety, insomnia, chronic pain, lessened immunity and low energy are just a few of the ailments that cannabis proponents say the superweed can help alleviate. And now that about 30 states have legalized recreational or medicinal marijuana, dozens of cannabis-infused foods and drinks are flooding markets. The Specialty Foods Association calls cannabis edibles a top food trend for 2018, with teas, olive oils, nuts, energy bars, coffee, crackers, honey and alcohol-free wines and beers among foods being compounded with cannabis. There are even cannabis-infused dog and cat treats for four-footed family members. Most of the new hemp-infused products contain one or both primary cannabinoids (CBD and THC) that are said to provide health benefits. Edibles with only CBD are legal in all 50 states because they are non-psychoactive, which means they won’t give consumers a high. Those with THC will produce a buzz, depending on the amount. (One package of Mota Beef Jerky delivers 100 mg of THC; compare that to a Leafly Cherry Almond Tart, which has 13 mg of CBD and only 5 mg of buzz-producing THC.) The Los Angeles restaurant Shibumi has a CBD cannabis menu that includes tempura fried cannabis, cannabis kimchi and pork smoked with cannabis branches. If you’re unimpressed with nondairy milks made from almonds, rice, soy, coconut and cashew, there’s yet another replacement for cow’s milk that’s trending now. It’s called “pea milk” or “veggie milk,” and it’s made from peas, potatoes and tapioca. Makers say it’s a boon not just for the lactose-intolerant, but also those with nut allergies. A number of brands are available, all claiming to be dairy-, nut- and-soy-free; they’re also not genetically modified. Why peas? Because veggie milk–makers say peas are packed with protein, a good source of calcium and vitamins D and B12. Pea milk reportedly has a consistency close to that of two percent milk, and it comes in flavors, including unsweetened and chocolate. The folks at the Terra Via company in San Francisco have come out with Thrive Algae Oil for cooking, baking and salad dressing. Algae may sound icky to those who learned in science class about its contribution to pond scum. But there’s a vast and varied world of algae, some of them not just helpful, but critical, to our existence, thanks to the role they play in food products, pharmaceuticals, fertilizer, bioplastics,biofuels and more. The company calls algae “the mother of all plants and earth’s original superfood.” It claims their algae cooking oil has 75 percent less saturated fat than olive oil, and the highest levels of good, monounsaturated fat of all oils used for cooking. What’s more, it has an unusually high smoke point, which makes it great for frying and sautéeing. Sourced from the sap of a chestnut tree, the algae is fermented in huge sterile vats where it’s converted into oil. Long a staple at salad bars and the backbone of hummus, the garbanzo has now been elevated to an elegant snack food and has also found its way into all sorts of edibles, from protein bars to pasta and peanut butter. Like other legumes, such as beans and lentils, chickpeas are high in fiber and protein and contain several key vitamins and minerals. Considered a healthy snack substitute for chips, bags of crispy, roasted garbanzos are spiked with wasabi, ranch, honey and other flavors. And now garbanzos have even gone sweet. Biena Snacks coats the crunchy beans in light or dark chocolate or salted caramel. Their newest is the Thin Mint chickpea snack, with flavor licensed from the folks who make Girl Scout cookies. The crisped beans are coated in dark chocolate and Thin Mint cookie dough. JPL Senior Research Scientist Bonnie Buratti talks about traveling to the great beyond. Bonnie J. Buratti was working in Rome when we called to chat on International Women’s Day, which celebrates women’s accomplishments. She is certainly among Arroyoland’s (and the nation’s) superbly accomplished women. Buratti is a planetary astronomer at NASA’s Jet Propulsion Laboratory, where she is a senior research scientist supervising the Comets, Asteroids and Satellites Group. She is currently analyzing data from the completed Cassini-Huygens mission to Saturn, for which she earned NASA’s Exceptional Achievement Medal. She’s also working on the agency’s New Horizons mission to Pluto and its moons, and is the U.S. Project scientist for the European Space Agency’s Rosetta mission, the first spacecraft to soft-land a robot on a comet. In 2014 Buratti, who advises NASA, was elected chair of the American Astronomical Society’s Division for Planetary Sciences, and she’s a Fellow of the American Geophysical Union. The International Astronomical Union even named asteroid 90503 “Buratti” in recognition of her work. In addition to all that, Buratti recently wrote a book for nonscientists who yearn to learn about what’s happening out of this world and in the great beyond. Worlds Fantastic, Worlds Familiar (Cambridge University Press) is a densely packed compendium of modern space exploration throughout the solar system — explaining Mercury, Venus, Mars, comets, asteroids, exoplanets and more — while describing what it all looks like, how they evolved, how we found out about them and who were the people involved. It’s also peppered with wit, personal anecdotes and historical oddities, zooming back to the ancients and into the future as new discoveries alter our understanding of Earth’s place in the universe and the possibilities lurking that we are not alone. The Altadena resident has been married for 36 years to Cal Poly Pomona physics professor and author Kai S. Lam. They have three grown sons. Buratti holds numerous degrees — a B.S. and M.S. in Earth, Atmospheric and Planetary Sciences from MIT and an M.S. and Ph.D. in Astronomy and Space Sciences from Cornell University. We asked her to talk about her life and work. At 65, you seem to be speeding up instead of slowing down. In many corporate settings, there’s a lot of ageism, especially toward women. Have you experienced that in the science world? I’ve never thought about it. I know it exists elsewhere, but I would say in science, that’s not true. In science, as you get older, whether you’re a man or a woman, you just gain more knowledge. So it’s acknowledged that a competent scientist becomes more competent with age? Some publicity for your book mentions that you write about science from a woman’s perspective. What has gender to do with how a scientist works? You’ve hit on kind of a controversial subject. Women are perfectly capable of doing science the same as men. That’s very important. There’s no particular women’s way. The most convincing argument in that arena is that women, because of their upbringing, quite often are more cooperative. We tend to be able to work as a team; whereas men might want to get credit, women more easily cooperate together. This is based on our training. It has nothing to do with our ability, but with the way it’s implemented. You’re in Rome for Cassini, which ended its 20-year journey to Saturn in 2017. What are you working on there? We’re still doing research, focused on archiving and on legacy, getting everything we’ve learned packaged. I have overall responsibility for the moons of Saturn. My particular interest is in what they are made of. Like, if you were standing on the surface, what would you see? What is their shape, their composition, what is the physical nature of these moons? enlarge the possibility that there are other worlds where some form of life might exist? Yes. Before the mission we simply saw the moons as pinpoints of light. The Cassini mission turned them into real worlds. On the small moon Enceladus, for example, we discovered a plume of water, a geyser, basically. We discovered lakes on Titan, not of water but of methane and ammonia — the only place in the solar system other than Earth where there is a standing body of liquid. Elon Musk recently sent a cherry-red Tesla into space blaring David Bowie and carrying a mannequin named Starman at the wheel. That caused scientists at Purdue University and elsewhere to worry that the car might not be “clean” enough, and might contaminate Mars with earthly bacteria. NASA deliberately crashed Cassini into Saturn when its mission ended so it wouldn’t roam uncontrolled and perhaps contaminate areas that should be kept pristine for further exploration. Is NASA concerned about contamination from Musk’s Tesla and other potential privately-owned space launches? NASA has a very strict protocol for what’s known as planetary protection. Anytime you put anything into space, you have to do rigorous planetary protection analysis. Musk and SpaceX are not working for NASA. Theirs are not NASA activities. I think NASA was concerned about it and I think the possibility that it might affect Mars was small and unlikely. But they did not do the analysis that NASA would have done. I really can’t comment on all that. There’s another concern that many scientists have, and that is that putting a Tesla in space is an advertising event, whereas we would have liked to see a scientific payload instead, something that had instruments and could study the space environment. You’ve worked on so many different projects. Do you have a favorite planet? Good question. It’s a really close call between Titan and Pluto. Is Titan a planet? I thought it was a moon of Saturn. Well no, it’s not a planet. Neither is Pluto, technically, for that matter. The International Astronomical Union downgraded it to a dwarf planet in 2006. But we scientists don’t think in terms of what we should call [a celestial body]. We’re not concerned with that. So why are Titan and Pluto your favorites? Titan is the most Earthlike of celestial bodies. It has lakes. It has evidence there were glaciers in the past. It has running rivers, a thick atmosphere and a lot of landforms that look like Earth’s. It has clouds and seasons and very interesting objects. And Pluto is so much more than we expected. It is the first object in the solar system on which we found active geysers. We see evidence of something melted, and what looks like something flowing over it that we don’t understand yet. It looks like snow has occurred. Similarities between Earth and other planets is one theme of your book. Can you talk about that? A lot of phenomena we see on Earth are replicated on the planets. Take, for example, the greenhouse effect, the warming of Earth’s climate due to the influx of carbon dioxide in the atmosphere. That happened on Venus already. Venus had oceans in its history. Because of the unconstrained accumulation of carbons, a runaway greenhouse effect evaporated all the oceans. They all disappeared. It became a very hot world. So that is kind of an extreme case of what is happening on Earth right now. Mars is also similar to Earth. It started out wetter. There were oceans in its early history. We think the origin of life on Mars may have been similar to origins of life on Earth. So the search for life on Mars is part of the search for life as it would have been on early Earth. Are we any closer to discovering the origins of human life? We really aren’t. We’re putting a lot of effort into that because it’s one of the greatest questions to be answered. Your book has some nail-biting moments of tension and excitement, as various missions make fantastic discoveries. It’s a kind of Indiana Jones tale that takes place in space. You also write about the poetry of science. How would you explain all this to an ace science student who’s trying to decide on a career? The book isn’t for scientists. It’s for the public to help explain space science, which is a heritage of the American people and belongs to all of them. I also really wanted to show younger people — those who are high school level and above — how much fun science is, and motivate them to do the kinds of things I do. It doesn’t have to be space science, but any of the other types, like engineering or helping to solve the climate problem. Science is poetic in the sense that it’s about having a new idea, a great idea. When we get that flash of insight, it’s very similar to the insight flash you get in any artistic or creative endeavor. I’d say to be a great scientist, you really have to study everything, not just science. I think it was the Greek philosopher Terence who said, “Let nothing that is human be alien to you.” You have to just expand your mind to take ideas from every area you can take them. Of course, it’s 99 percent perspiration and 1 percent inspiration. But at the moment you finally make that sublime discovery, you know it has all been worth it. Any comment on President Trump’s idea for a space force, a branch of the military trained to fight wars in space? With all scientists now know, do you believe there’s a possibility of intelligent life somewhere out there in space? I just don’t know. We shouldn’t be the only ones, but we haven’t found any evidence of any life elsewhere, let alone intelligent life. Trump’s proposal would reportedly cut funding to many departments the elderly depend on. It would cut the Health and Human Services Department, which oversees all federal healthcare programs, by 20.3 percent, which would cut 30 percent of the budget for food stamps (now known as SNAP), introducing “food packages” instead of the current debit cards that can be used at markets. Also targeted for cuts of hundreds of billions of dollars are Medicare and Medicaid (which benefit one-third of all Americans); much of the federal healthcare budget would become the responsibility of individual states, which are already struggling to meet residents’ needs. The proposal would also cut multiple programs many financially challenged seniors currently count on, such as heating and housing assistance. It would slash certain prescription drug benefits and prohibit Medicare from fully negotiating directly with pharmaceutical companies, which experts agree is the most effective way to bring prices down. Millions of older people could wind up paying more than they currently do for prescription drugs, analysts say, and fewer medications might be covered. On the plus side, Trump’s proposal would eliminate the 5 percent co-pay for sick seniors who reach the “catastrophic” drug-cost threshold. But it would also become more difficult to qualify for that level of coverage, and those just under the threshold would reportedly pay more than before. Social Security’s retirement and survivor benefit payments would not be cut, although the department’s staff would be slashed at a time when 10,000 baby boomers a day are reaching retirement age. And for those staffers who remain, the overtime allotted to keep up with that increased demand has been cut to less than one-third of what was allowed in 2017. Senior advocates worry that the staffing decreases signal a goal to eventually dismantle or completely privatize the Social Security program. The president’s plan would also make it more difficult for physicians to refer Medicare patients to other providers, some analysts say, making it harder for some seniors to access care their doctors recommend. And the proposed 2019 budget includes elimination of community development block grants, a program that helps local governments take on serious community-wide problems, such as affordable housing and meal delivery services to the housebound and isolated, including Meals on Wheels. Americans across the political spectrum have spoken out against the proposed cuts, which seem to herald a change in America’s basic policy toward its seniors, who are living and working longer than ever before and may be counting on their country to deliver on its promises. Conservative writer Jennifer Rubin, whose Right Turn blog appears in the Washington Post, has written: “Despite having become the governing party, Republicans still show little interest or competence in governing with a broad-based vision of what quaintly used to be called the ‘public good.’” The Center on Budget and Policy Priorities (CBPP), a nonpartisan think tank based in Washington, D.C., has also denounced the administration’s proposed budget. Trump’s proposal likely won’t be enacted this year since Congress just passed a two-year spending program. But the CBPP says it “shows what he would seek to achieve over the remainder of his administration” (although Democratic inroads in the 2018 midterm elections would likely pose a big obstacle). Seniors would be among the millions more Americans who would lose health insurance coverage under the proposed health-care cuts criticized by the CBPP, increasing hardships for low- and moderate-income families. Millions of seniors and those approaching retirement have amassed enough assets to assure themselves a financially comfortable old age. Many more millions who may have worked just as long and hard are financially insecure. Half of Medicare recipients live on incomes of under $26,200 a year and lack the resources for their basic needs, according to the National Council on Aging based in Arlington, VA. In the perfect storm of more deregulation, skyrocketing costs for housing, food and medical care, many middle-class Americans face a troubled financial existence once they are too old to work, analysts say. Here are just a few random facts that highlight the costs of survival for American seniors: The national average annual rate for a semi-private room in a nursing home was $81,030 in 2012, according to the MetLife Mature Market Institute. That does not even include all the extra therapies, medicines and special care often required during such a stay. Basic Medicare does not cover hearing aids or dental work, both of which are costly and afflict the elderly more than any other group. About 5 million older Americans rely on SNAP for food while making ends meet. Most live alone, and on average receive $108 per month to help put food on the table. The question becomes one of basic national philosophy rather than one of political party preference: How should we treat our oldest citizens? Do we penalize those who have worked all their lives, but not been able to amass the funds needed to survive a lengthy illness — or simply survive? Some respected analysts say such questions are irrelevant. They contend that it’s economically unfeasible, given the tremendous rise in older Americans now flooding the population, to continue providing seniors with the traditional entitlements. Others assert there’s enough money to continue and even improve support for old people, if only we set different priorities than this budget’s authors do. They say the government has faced similar challenges over the years, but with both parties working together to make changes that assure the programs’ solvency, those problems have always been solved. They say the same can happen now. While most top Arroyoland residential neighborhoods have remained architecturally intact thanks to Pasadena’s fervent preservation community, there are signs that is slowly changing — already massive homes are being enlarged or torn down and replaced with something even larger, introducing architectural styles that are anything but the hallowed traditional style of the neighborhood. 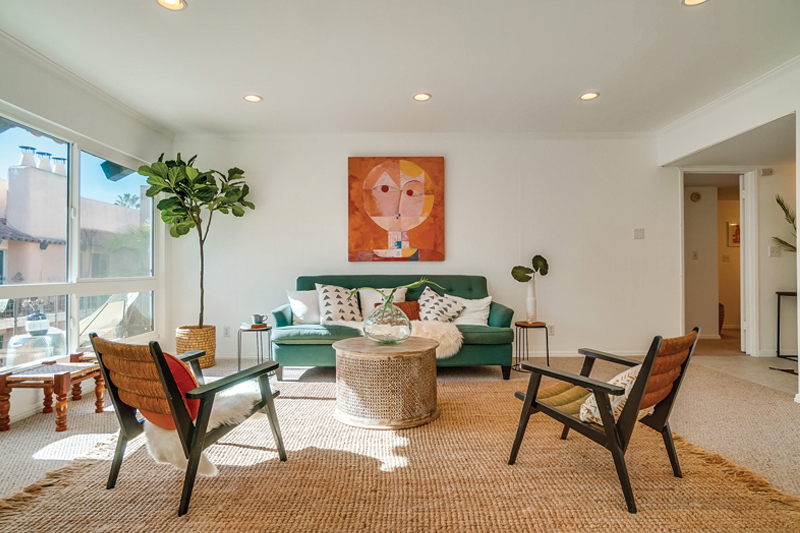 An example is a newly constructed home in La Caňada Flintridge, which Rita Benelian, a Realtor with Keller Williams’ West Hollywood office, calls “an entertainer’s dream home,” with one level that’s an extraordinary “man cave” that would have suited the Rat Pack. The upper levels are traditional in design, the kind of home you might find in Beverly Hills or Doheny Estates, she says. But “it would be about $20 million if it were on the Westside,” she adds. Because it’s in La Caňada, it’s what she calls a real bargain. Condominiums with spacious open floor plans are having a heyday in Arroyoland, Realtors say, not just because prices can be more affordable, but also because increasing numbers of people are deciding to embrace the freer lifestyle that comes with owning a condo. Realtor Ryan Sarkissian, with Compass Pasadena, says that much the same situation exists for condos as for private homes. “There’s not a lot on the market now in an affordable price range, in good condition and that has a nice, spacious layout,” he notes. “Prices are escalating for condos, because so many buyers have so little to choose from.” And when something good comes on the market, he notes, the bidding competition will be stiff, the price will go up and it will go fast. This light-filled corner condo is on the building’s top floor. It has an open floor plan, a fireplace and a balcony. Windows are dual pane and energy-efficient, and the common areas of the entire Casa Pasadena complex are being updated with new landscaping and hardscaping. The complex has a clubhouse, pool, spa and gym. Pets are permitted with some restrictions on dog size. This condo was listed at $540,000 but went under contract for $585,000, as Arroyo went to press. That’s how Raymond Chandler described Santa Anas in his 1938 novella “Red Wind.” And when the dry winds arrive, wildfires often arrive with them. Aptly named, they pounce like raging bulls, erratic and unpredictable, depending on wind direction and severity. It’s been happening since long before there were humans here to lament or write about them. In the beginning, the fires were spontaneous eruptions every 30 to 130 years; they were nature’s way of preserving the valleys’ foothill greenbelts which depended upon fire to regenerate and flourish. Nowadays, wildfires happen every year with increasing frequency and severity, and 95 percent of them are caused by humans rather than nature. Experts predict that extended periods of high temperatures combined with continuing lack of rain will cancel out the seasonal aspect of wildfire danger and replace it with a year-round threat to life and what many count as their largest asset — their home. Governor Jerry Brown recently said that we have to start assuming that fire season will go right through Christmas. Much of Arroyoland is considered by the California Department of Forestry and Fire Protection (Cal Fire) to be in the highest category of risk for ignition. Pasadena, Duarte, Glendale, La Caňada Flintridge and Monrovia are all tagged as Very High Fire Hazard Severity (VHFS) zones. In 1993, 115 homes burned in the Eaton Canyon area of Altadena, with embers from that fire setting off flames that burned a dozen homes in Pasadena and Glendale. In 2009, the Station Fire threatened 12,000 structures, mostly in Pasadena, La Cañada Flintridge, Glendale, La Crescenta and Altadena. It came within one eighth of a mile of Jet Propulsion Labs and destroyed 89 nearby homes and 120 other structures. The cause was arson. Financial losses are the least of our worries when we wake in the middle of the night to firefighters pounding on our door, telling us to get out quickly. In the recent fires, some families had minutes or even seconds to evacuate before their homes ignited or exit roads were blocked. We’ve all read stories of those who couldn’t even corral their pets in time to save them. The financial aftermath comes later, afflicting those who’ve lost everything and haven’t fully prepared for such eventualities. No matter how well we try to protect our property, we’re all somewhat vulnerable. So how do you prepare for such an event, which may occur months or years from now, or may never happen? And what do you take with you if you have to leave in a hurry? DO THIS NOW, BEFORE DISASTER STRIKES. Many experts weighed in on this subject after last year’s fires around California. Their suggestions are worth noting — they’ll stand you in good stead whether you’re confronted with fire or any other kind of catastrophic event that requires you to leave your home quickly. l. Read your home insurance policy carefully. Don’t assume that your agent, who may be very capable, has covered you correctly. There are hundreds of sad stories from fire victims of every economic bracket who trusted they were completely covered for rebuilding but found out otherwise — when it was too late. Many were short more than $100,000 in rebuilding costs, some in the hundreds of thousands. Some could not afford to rebuild. Your policy should not simply cover the value of your home; it should cover all costs of rebuilding it according to current codes. “Roughly 60 percent of American homes are underinsured,” according to CoreLogic, an Irvine-based company that provides data to home insurers. Amy Bach, director at United Policyholders, a San Francisco–based nonprofit representing consumers, calls it “a huge problem.” Consumers rely on their agents, who sometimes rely on formulas that do not cover costs, she says. Sometimes even the most reliable agents simply make mistakes. Also, if you’ve updated or added onto any part of your home (such as a kitchen or deck), report that to your insurance agent. Homeowners who fail to update after making improvements are in for problems, says Janet Ruiz of the Insurance Information Institute trade group in New York. 2. Pack an evacuation bag (sometimes called a grab-and-go kit) with all your important documents, so you can quickly take them in an emergency. It should contain birth certificates, passports, social security cards, property titles, home insurance policy, crucial health cards and records, any critical papers. You may think some of these are easily replaceable, but in chaotic times it could take weeks or months, and you’ll need many of them immediately after any disaster. You’ll want the home insurance policy to ensure you get proper coverage if you’re filing a claim with your insurer or FEMA, especially since adjusters will be overworked and rushed. Digitize as many important documents as you can and keep a hard drive in the kit or make sure they’re available online. If you have old, irreplaceable family photos, you might send them and any important videos to be scanned and transferred to DVDs, which can be stored in a safety deposit box. 3. In another kit, keep a change of underwear and clothes, toiletries, a supply of medications, extra prescription glasses or contact lenses and perhaps any small irreplaceable jewelry or heirlooms you would not want to live without. Make a list in advance of other irreplaceable items you’d take depending on the time you have to evacuate and space you have in your vehicle. If there’s little time, grab your essential kits and go. If there’s more time, grab the items you’ve prioritized. 4. Don’t forget to set aside a stash of cash. It’s key in times of disaster, and you want to have a good amount on hand in one of your kits. 5. If you have pets, keep a bag of food, pet meds and other essentials near your document and clothing kits. You can rotate the food and meds, so they don’t become outdated. 6. Plan on exactly what electronics you want to take — phone, laptops, tablets. And keep extra cords and chargers in your kit. 1. Keep a detailed journal starting the day of the wildfire, flood or any disaster that hits your home. Consumer advocates say meticulous notes will help the insurance claim process go more speedily and accurately. A diary should be updated daily with the dates, times and names of those you spoke with by phone or met with, including insurers, adjusters and contractors, plus a brief entry of what was said. Keep an envelope with all receipts that document your living expenses from the time you had to evacuate. According to Amy Bach of United Policyholders, receipts for temporary housing and other living expenses will document your additional living costs that are reimbursable. 2. Even if your house has been totally destroyed, it is essential that you take pictures of the damage. If it’s too painful, Bach says, ask a friend or relative to do it for you. Such photos, even if they show only a remaining foundation, can help indicate the size and shape of the home and damage sustained. Above all, be vigilant when dealing with the aftermath of a wildfire or other disaster. Remember, when you’re dealing with claims adjusters and agents who are burdened with dozens or hundreds of cases under time pressure, you need to be your own best advocate. Mark Zuckerberg, Jeff Bezos and Larry Page needn’t panic — yet. But alarm bells are ringing across the land, alerting Americans to the fact that almost every aspect of their lives has been captured, catalogued, digitized and monetized by Google, Amazon and Facebook. Not just what we buy and where, but what we think and with whom we share those thoughts. Those very personal predilections have become data the Big Three can use to target and manipulate individuals and industries in order to gain more control and bigger profits. They already control much of our access to knowledge, entertainment and social media, and they’re branching out from there. No one can dispute the intoxicating ease and speed with which we can now buy things (Amazon), acquire information (Google) and communicate globally (Facebook). But the very titans of tech who’ve made all this wonderful stuff possible now head the globe’s three largest and most powerful monopolies. There are no regulations curbing their bigness or business practices, and some observers liken them to sovereign nations. Known abroad as GAFA (when Apple is included with Google, Amazon and Facebook), they are accused of diminishing democracy and actually messing with our brains by invisibly eroding free will, individuality and the capacity for independent thought. Critics blame them for narrowing our intellectual options and stifling human creativity in various ways: Facebook is under fire for disseminating fake news (as is becoming clearer with media investigations of Russian ad purchases to sway the 2016 election) and its manipulation of which news and posts users are allowed to see; Google does it by using algorithms to curate what is presented when we search for information of any sort; and Amazon has an overwhelming hold on the retail market for books and much more. Their concentration of power has overtaken online life, and in the process has deflated entire industries. Since 2001, newspaper and music revenues have fallen 70 percent; film and television profits have also taken dramatic downturns. Jonathan Taplin, an author, film producer and director emeritus of the Annenberg Innovation Lab at USC’s School for Communication and Journalism, writes about the phenomenon in his recent book, Move Fast and Break Things: How Facebook, Google and Amazon Cornered Culture and Undermined Democracy (Little, Brown & Co.). He argues that the Big Three have tolerated piracy of books, music and film while at the same time subordinating the privacy of individuals “to create the surveillance marketing monoculture in which we now live.” Intellectual property and the written word have been devalued in this culture, say critics, who point to the decline of principled journalism against the rise of news stories and blogs written not to inform readers but to titillate as clickbait that produces revenue for Facebook and Google. The tale of a Minnesota hunter who killed a lion named Cecil in Zimbabwe, for example, resulted in 3.2 million Google News results while many more important issues were thinly covered. How could such seemingly benevolent companies wreak such havoc? Here’s a short, surface overview: We live in an era of big data and algorithms. Data is the new oil — it’s how the Big Three fuel their businesses. We give information away for free with every click, tweet, post, selfie, “like” and card swipe. Every time we do anything online, on any device, we leave a digital trace that is stored and becomes data about each of us. Even offline, the motion sensors on our phones reveal where, how often and how far we travel. These kajillions of pieces of information form a psycho-demographic profile of our lives — what we believe, what we like, where we go, what we buy, how we are likely to vote. The companies collect the data invisibly and harness it via algorithms they design. The algorithms sort and organize the data automatically, selecting what content should be displayed to a user, what should be hidden and how it should be presented. We don’t always choose what we see online. It’s frequently chosen for us. None of this is totally new. We all seem to have decided to ignore the seemingly small incursions because these three behemoths have brought us so much that is good. But lack of regulation has decimated many rights and privileges we’ve always taken for granted. Facebook has already bragged it can get out the vote by simply urging users to go to the polls, according to The New York Times. Combine that with its ability to misinform via fake news planted by agents hostile to one political side or the other, and the potential for a manipulated outcome becomes clearer. Facebook can invisibly influence its 2 billion users in other ways, as well. In 2014, for example, it announced it had done a psychological experiment on half a million randomly selected users, without their knowledge or consent, to determine if emotions can be spread. The company said it had altered the number of positive and negative posts in the newsfeeds of those selected. Half the users received more positive posts, the other half more negative ones. Results indicated that moods are contagious. Those who saw more positive posts responded by writing positive posts of their own. Those who saw more negative content responded with negative posts. Ponder the implications of that. Google was also bruised in 2016, when news surfaced that searches using certain words — such as African-Americans, Jews and Hitler — with the company’s autocomplete system brought up racist and anti-Semitic sites; top entries included pages claiming that black people were not as smart as white, the Holocaust never happened and Hitler was a good person. Google blamed it on hate groups that had gamed its algorithms and said it had fixed the problem, according to The Guardian. U.S. Senator Mark Warner (D-VA.), vice-chairman of the Senate Intelligence Committee investigating Russia’s ties to the 2016 election, has said, “Facebook knows more about each of us than the U.S. government. And that’s just the tip of the iceberg.” The same could be said of Google and Amazon, say big-tech observers who claim that the companies probably know more about us than our own parents, siblings and spouses. Maybe even more than we know about ourselves. Amazon started out selling books and is now the globe’s biggest online store for nearly everything. It also powers a cloud storage system used by Netflix, the CIA, Unilever, Dow Jones, Harvard, NASA, Spotify and dozens of the biggest corporations. Amazon also owns Whole Foods and the influential Washington Post. Its founder, chairman and CEO, Jeff Bezos, 53, is worth $86.3 billion. Google started out with a goal of organizing and making available all the earth’s knowledge. In 2015, it was restructured as a subsidiary of Alphabet Inc., a multinational corporation which is parent to Google and a host of other entities making drones, phones and driverless cars; also in Alphabet’s portfolio is Calico, a biotech company that aims to eliminate aging and conquer death, among other ambitious aspirations. That’s a goal of Google cofounders Larry Page, Alphabet’s CEO, who is 44 years old and worth $45.7 billion, and Sergey Brin, Alphabet’s president, also 44 and worth $45.4 billion. Facebook was famously started in a Harvard dorm room as a college networking tool. It now owns 50 tech companies that deal with everything from facial recognition to market analytics. Facebook owns Oculus VR (virtual-reality hardware and software), Instagram (a photo-sharing website) and WhatsApp (a messaging app that’s bigger than Facebook in India and other emerging markets; it reportedly has 450 million users, with 1 million new ones signing up daily). Facebook has 2 billion users worldwide; WhatsApp and Messenger each have 1.2 billion users. Founder Mark Zuckerberg is 33 and worth $70.6 billion.